As our parent’s age, the decision eventually must be made about how to handle their care and well-being when they can no longer care as easily for themselves. Many turn to the full-time assistance of a nursing home while others choose to become the primary caregiver for their parent(s), which may include moving them into their home and caring for their loved one full time. So what is the difference between a nursing home and a senior day care center? Which option is more affordable, and more importantly, which option is right for your family? Nursing homes house elders that cannot independently care for themselves but also don’t need to be in a hospital. Equipped with 24-hour staff, nursing homes provide round the clock care with meals, daily activities, and a room to sleep in at night. Some nursing homes have programs for speech, occupational and physical therapy. Others have a more relaxed, neighborhood feel. It all depends on the elderly adult’s needs. Nursing homes can be costly, as they make a permanent position for your loved one to reside within the home. With your elderly loved one living separate from you, it can be difficult to maintain a close relationship or visit frequently, especially if the home is located in another city or state entirely. Adult Day Care Centers allow caregivers a reprieve from full-time care. 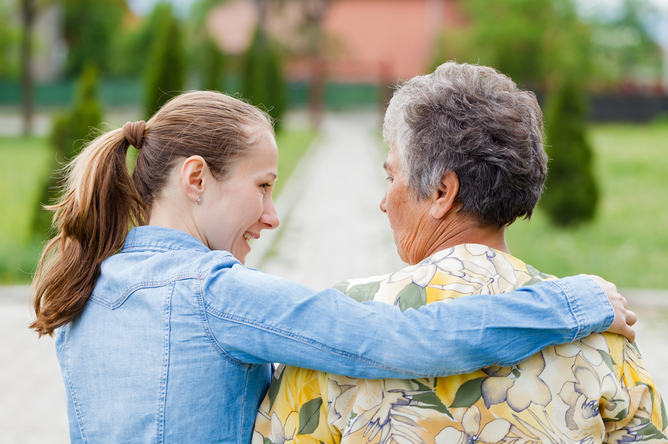 The caregiver will drop the senior off at the program for the day during normal business hours, where they will still receive proper care for their needs in a safe and friendly environment. Senior day care centers may have special programs that focus on social interaction, Alzheimer’s care, or medical care. Common day care recipients are aged 75 and older, live with their family, and may or may not have cognitive impairment that requires daily assistance for living. Some caregivers may feel guilty dropping off their loved one to be cared for by someone else, but truly, a structured program with planned daily activities stimulate the mind and body, helping maintain brain function, the tasks they can still do independently and give back skills they lost due to cognitive decline. Nevada Adult Day Healthcare Centers offers speech and physical therapy so clients may regain independence in physical mobility and mental health. Our trained staff offers a variety of services so that there’s never a dull moment. We even offer onsite dental services, so that you have one less appointment or worry when it comes to caring for your loved one. If you’d like to learn more about our senior day care centers located in Las Vegas, please call 702-319-4600 to learn more.